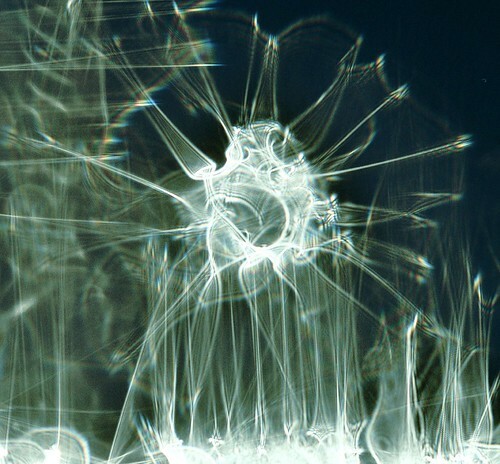 Spicules of Light, originally uploaded by Reciprocity. Flickr seems always too much to explore, but there are these amazing contributions that show up periodically. An example is this one from "Reciprocity" of experimentations with film--images without use of a camera lens.